Clarkston and Waterford Dentures | David A. Wright D.D.S., P.C. Dentures can treat patients who have experienced the loss of their teeth due to periodontal disease, dental injuries or tooth decay. We are proud to offer our patients custom-made dentures constructed from the highest quality materials available. They can restore your teeth to full functionality, improve your smile and help maintain your oral health for many years to come. We offer two available types of dentures at our practice. 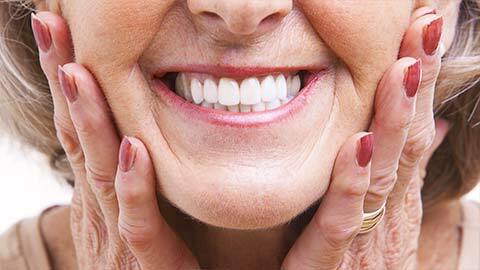 Full dentures will replace a full row of upper (maxillary) teeth or lower (mandibular) teeth. 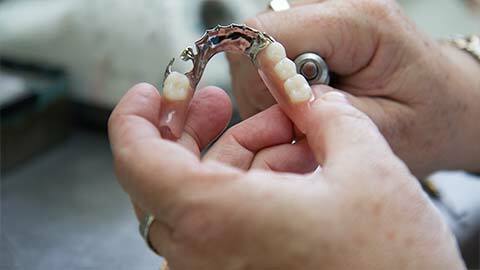 Partial dentures will be used in cases where a few teeth together are missing. Because we recognize that each patient is unique, we design our dentures from impressions that we have created from your missing teeth. These impressions will allow your custom-made denture to comfortably fit into the gaps of your teeth. They are constructed from the most light-weight and durable materials, so that they will last for years to come. 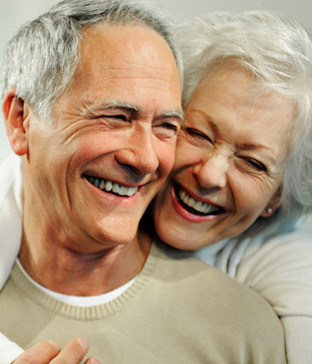 If you need more information about Dentures in Clarkston and Waterford, contact us today.